VoltAir System® are available in three different series to suit the different conditions and opportunities available in different building types. 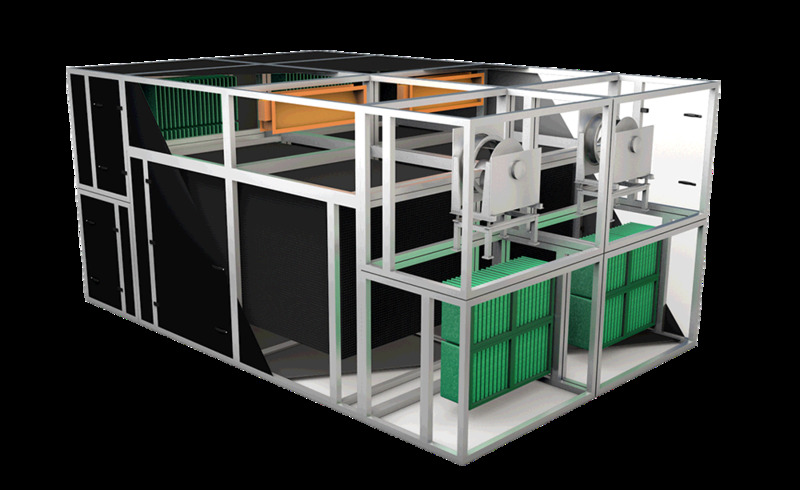 Standard AHUs for installation on the roof, in installation rooms beside or through the building facade. Available for air flows between 0.2 m³/s and 4.0 m³/s. 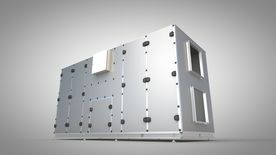 VSM are module Air Handling Units are prefabricated units delivered in modules to be docked together at the installation site. Normally placed on the roof of the building. VSM are available for air flows between 1.8 m³/s and 32 m³/s. 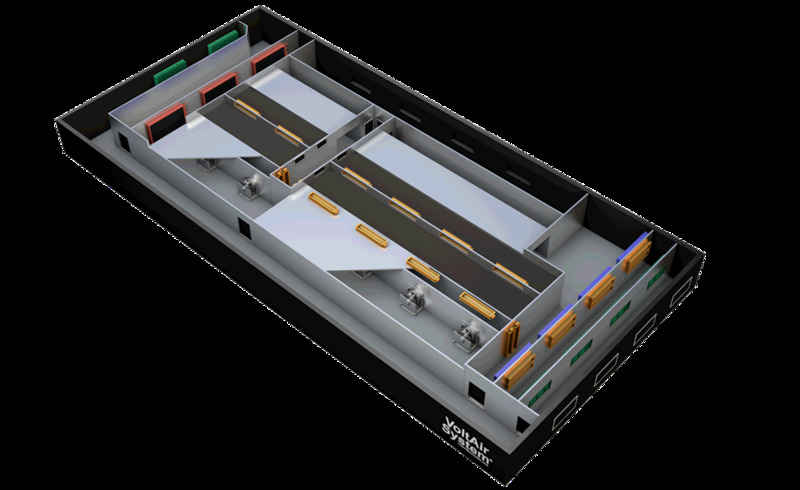 Incorporation units - custom designed based on available space in the building, sometimes ceiling heights as low as 1,90 m.
The VSI units are often installed in environments to optimise the "economical footprint". VSI are avilable for air flows between 2 m³/s and 40 m³/s.